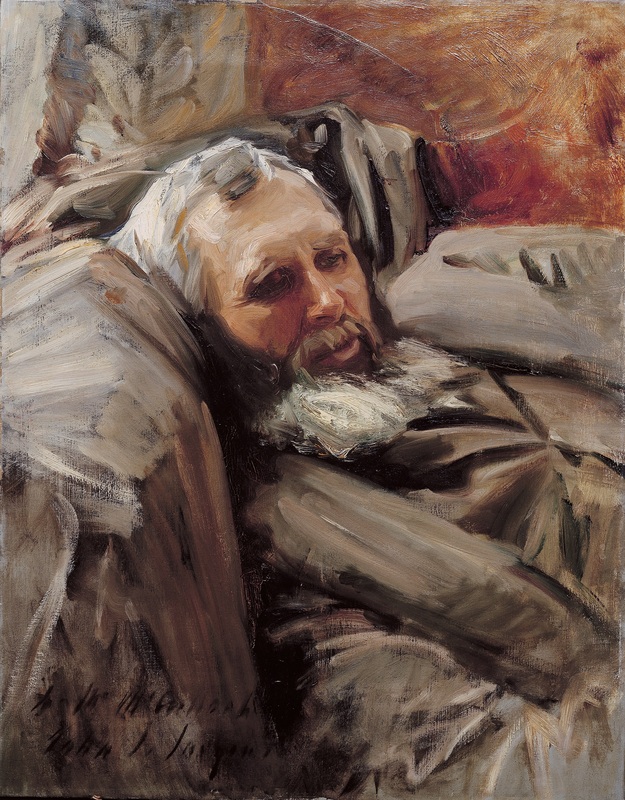 This portrait of the entrepreneur and art collector George McCulloch (1848 - 1907) is one of two painted portraits by Sargent in the Boston Athenæum’s collection. McCulloch, a native of Edinburgh, Scotland, amassed a huge fortune in the silver ore trade in Australia. He then retired to London where he focused his energies on collecting contemporary art including paintings by James McNeill Whistler, Frits Thalow, and Jules Bastien-Lepage. Sargent painted this portrait of his friend McCulloch while the two were on a fishing trip in the SundalValley on the coast of Norway.